As with other areas of life, the world of baby gear will forever have differing opinions. But whereas it isn't hard to find both sides of debates on cloth vs. disposable diapers or store-bought vs. homemade, organic baby food, I can't think of a single instance where I've heard a parent dislike a company that is known for creating well-designed, high quality products that are carefully constructed to make your life easier. If there is a mom out there that complains that she owns baby gear that fits her (and her child's) needs too well, then she's not really going to be pleased over anything. For the rest of us, however, there is Graco. 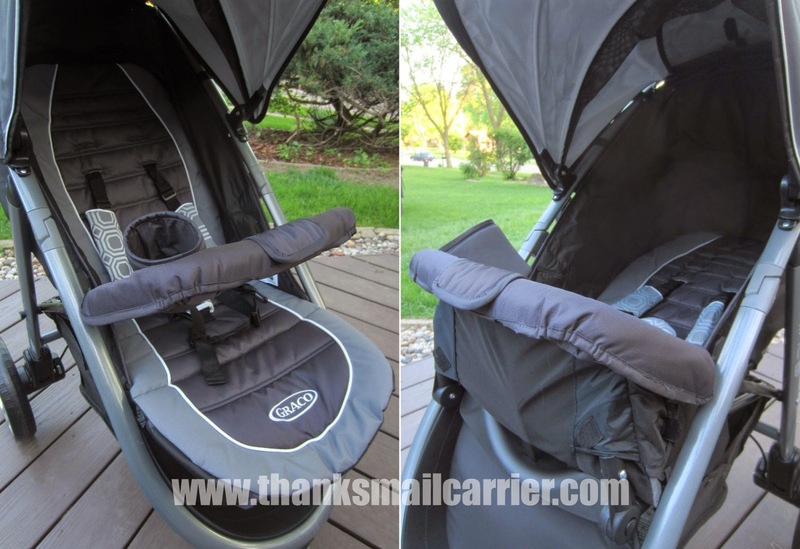 Having always been extremely impressed with the quality and durability of Graco's products in the past, I had no doubt that the Aire3 Click Connect, a new addition to their collection of strollers, would be just as amazing. Designed specifically for active moms, the Graco Aire3 Click Connect stroller makes it extremely easy to get out and about with little ones with this spring and summer (and beyond). 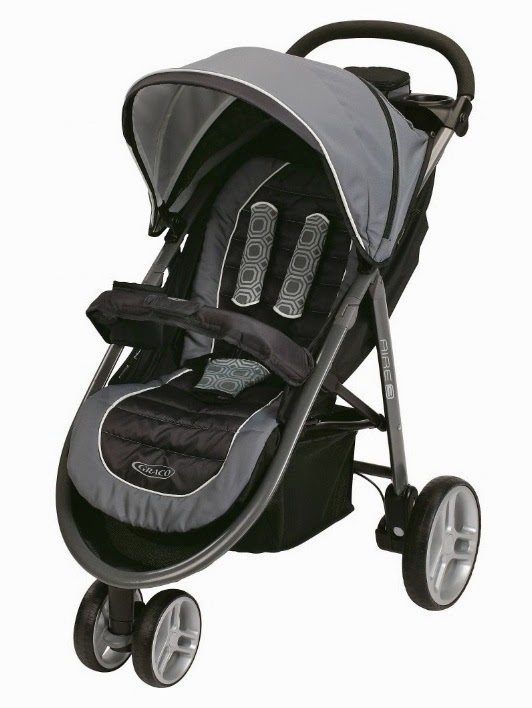 Considering that it weighs in at less than 21 pounds and folds down quickly and easily with one hand, there is never any problem maneuvering, lifting, carrying or transporting this stroller for your next walk around the neighborhood or jog in the park. Add in a multi-position recline seat, an extra-large storage basket, a parent's tray with zippered storage and two cup holders, and more and it is clear that this stroller was built for easy use by moms and dads on the go. Arriving nearly fully assembled right out of the box, right away I appreciated that Graco knows that parents are busy and don't have hours to spend constructing their products. In a total of around one minute, I popped the wheels into place, clicked open the frame and attached the parent tray and child bar. 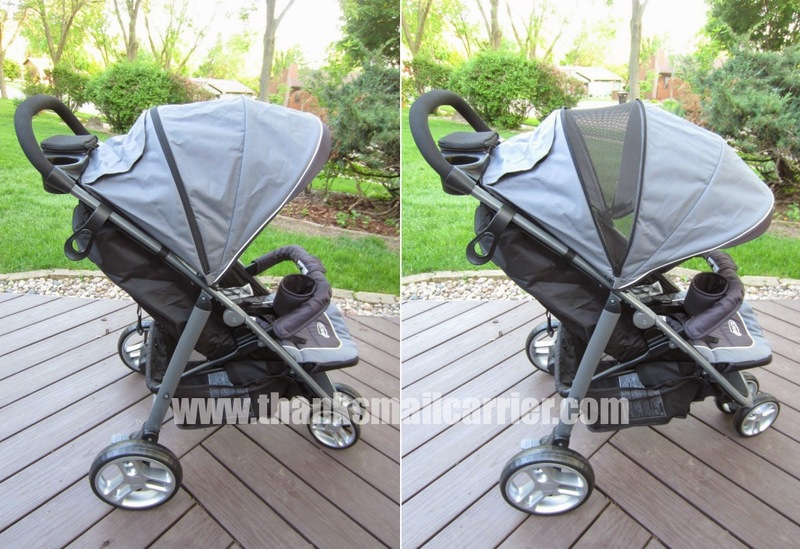 When I stepped back to see this high quality stroller fully assembled and ready to go, I was already impressed! Any consumer knows that being able to purchase one product and have it last through multiple years (and life stages) makes sense, so I was immediately pleased with the way that the Aire3 Click Connect works for infants up to preschoolers. For the youngest riders, this stroller accepts all Graco Click Connect infant car seats with a secure one-step attachment. Simply open the car seat attachment flap on the front, insert the seat until it latches and you've created your own travel system! Alternatively, for a safe and comfortable ride for your infant without a car seat, the seat to the Aire3 can turn into its own carriage resembling a pram. After reclining the seat back to the lowest position, it only takes a minute of fastening and unfastening Velcro straps in the correct place and your enclosure is ready! For children of all ages, the strap controlling the reclining seat makes it a snap to let them sit upright, lounge or lay back quickly and easily. I love simplicity, especially if it is going to make naptime on-the-go more happy and convenient for everyone! At the same time, the extra-large canopy provides plenty of protection from the elements when you're out for a stroll... and even has an added zippered extension panel for when you really want to block out the rays! During times when everyone is awake, the addition of the child cup holder is great for bringing a sippy cup along and, while there is no snack tray for eating on the go, that isn't a feature that is typically included on any of the jogging strollers I've seen in the past. At the same time, parents aren't left out with the addition of two cup holders and a zippered storage compartment that is perfect for a phone, keys, money and more. For larger items, the deluxe storage basket provides plenty of room for stashing a diaper bag, sweatshirt and much more! 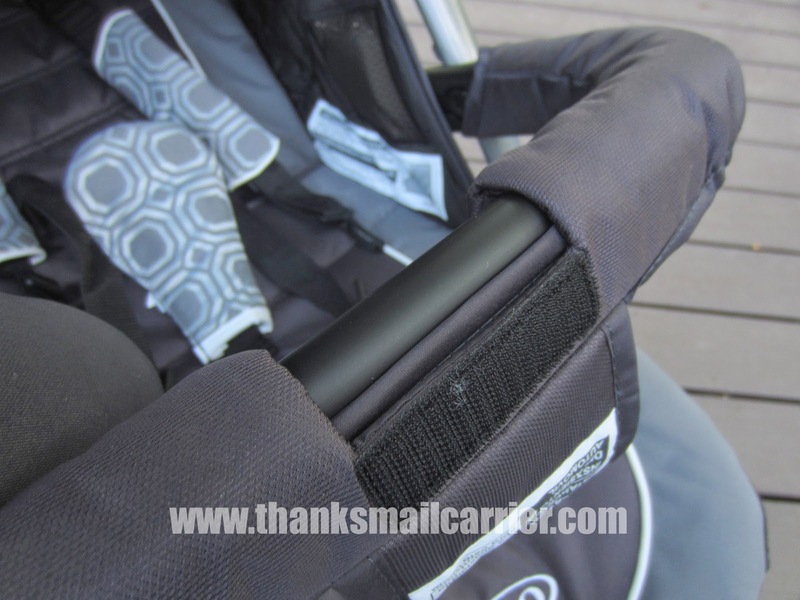 While I love all of the features that Graco included to ensure this stroller provides a comfortable and smooth ride for everyone (the three-wheel design and added suspension cause this stroller to glide so easily! ), I appreciate that didn't mean that safety was ignored. As a great bonus, the Aire3 includes a fast, one-hand fold and a unique free-standing design so that not only does it fold up quickly (one second!) and easily, but it stands upright on its own. 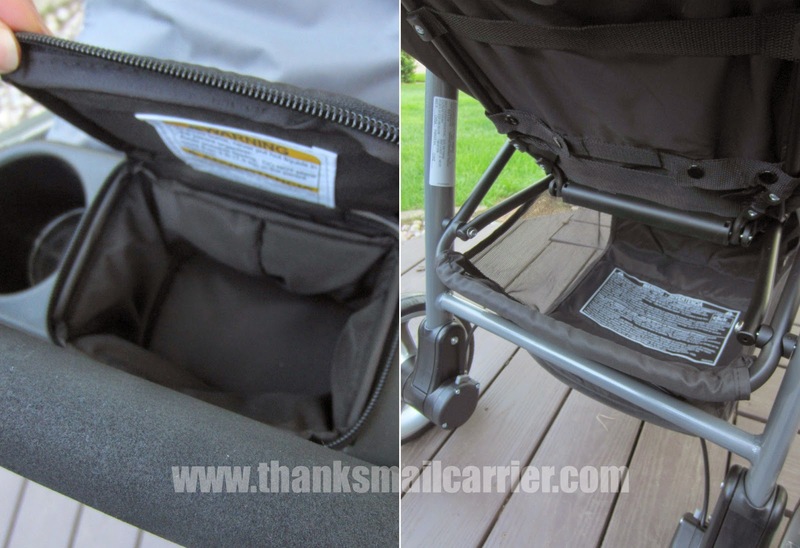 I love the space-saving ability as well as not having to worry about another piece of baby/child gear that lays across the floor to be stepped over! With an MSRP of $229.99 (exclusively from BabiesRUs.com or in store), the Aire3 Click Connect stroller just about does it all. Instead of purchasing multiple strollers for different aspects of your life, this single piece of equipment can allow you to get outdoors to spend quality time with your child quickly and easily. When it comes to a convenient, easy to maneuver, durable stroller that is made to last from birth throughout many years of childhood (this holds a child up to 50 lbs! ), the Aire3 Click Connect has proven that Graco knows how to take safety and security and make it fast, accommodating and user-friendly. Whether you are out taking walks daily or are just looking for a way to make life easier with your baby, this is the stroller to do it! 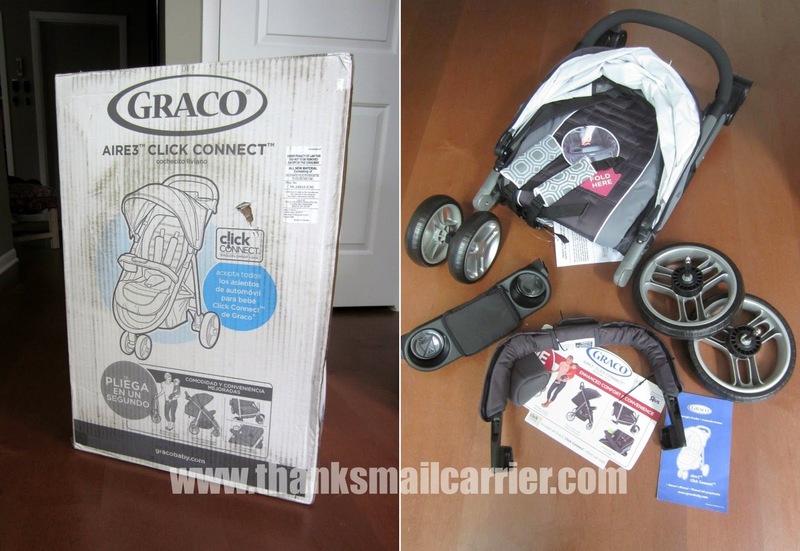 Other than the Aire3 Click Connect stroller I was provided by Graco in order to facilitate my review, I was not compensated or enticed to do this post in any way. This review is solely my honest opinion about this company and this product. I would have loved having this 40 years ago when I could have used it. So versatile. This is such a nice stroller. It looks so sleek. What a very nice stroller. My sister would love to have this for my nephew. It looks very sturdy and easy to use. Graco makes nice things. Thank you for the review. 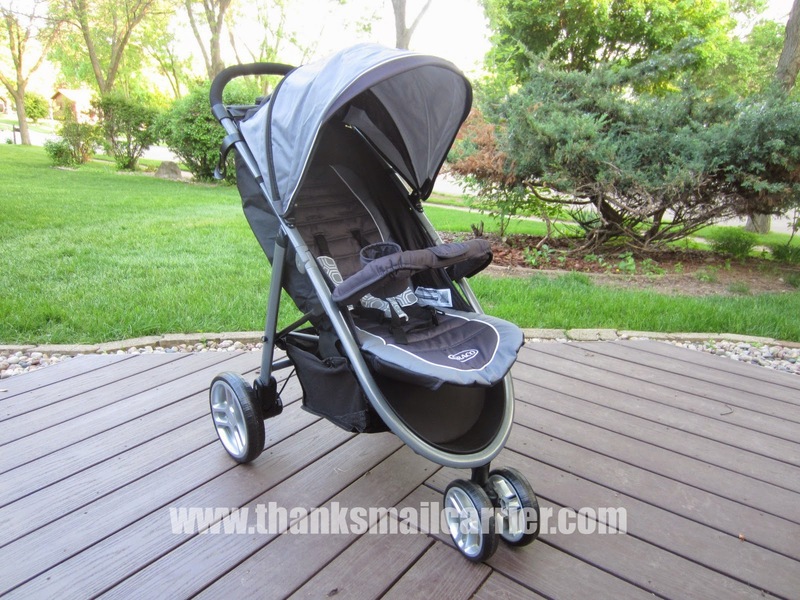 Wow, the Graco Aire3 Click Connect stroller looks/sounds amazing. 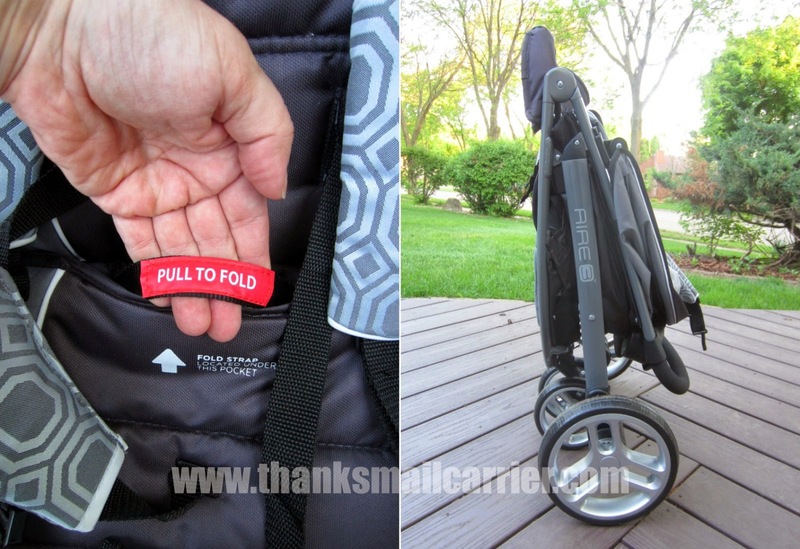 I love the fact that when you fold it up it can stand up on its own, is there any other stroller that can do that? Thank you for sharing this great product review. I can't believe how many different ways you can use this.